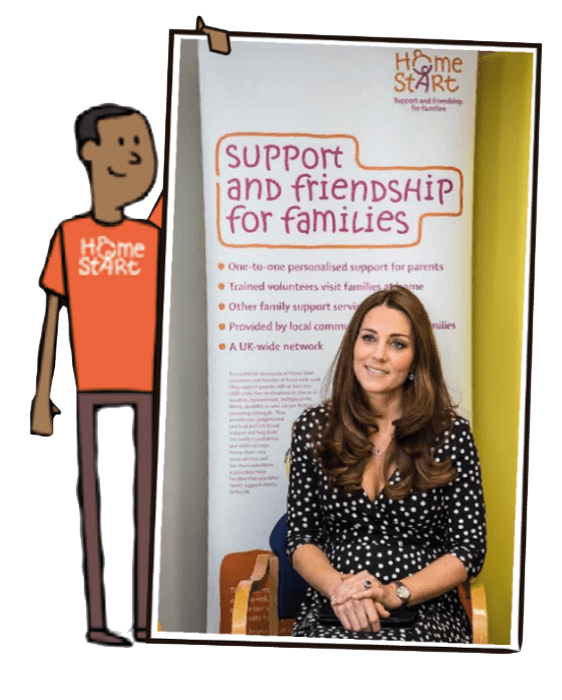 Her Royal Highness The Duchess of Cambridge learns more about Home-Start and our support for children and families. 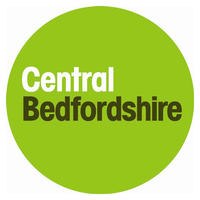 We are proud of our charitable work and long working relationship with Central Bedfordshire Council and before its abolition in 2009; Bedfordshire County Council. We have been successful in delivering early intervention support to families with at least one child under the age of five for over 30 years and are a preferred provider for early intervention and child poverty for the council. Our core charitable work is achieved through managing trained volunteers who visit referred families on a weekly basis for around two to nine months depending on the needs of the family in order to achieve a set of outcomes. 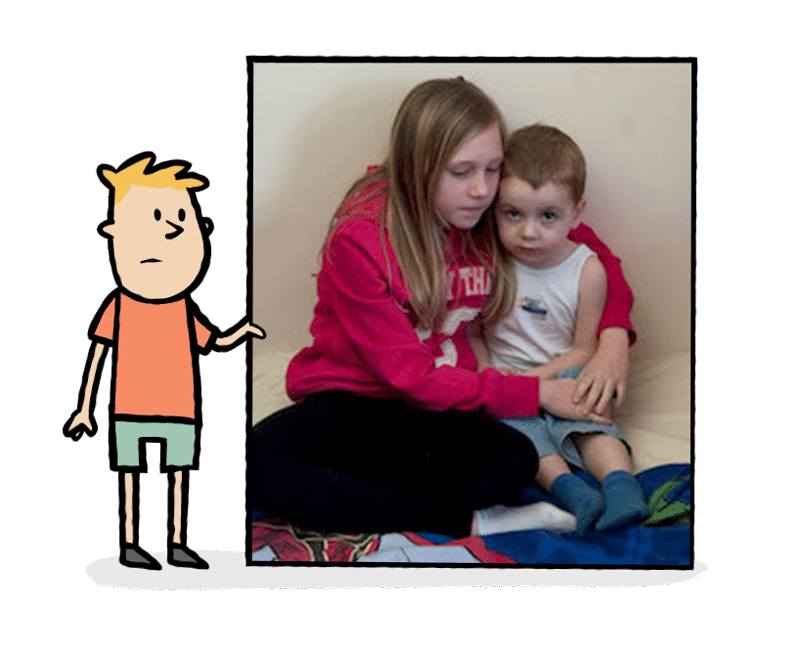 Families are predominantly defined as Early Help but we also work with more complex families such as children in need and children subject to a child protection plan, working in partnership with other agencies. “Support for children and families in NE Bedfordshire comes from many organisations, one being Home-Start Central Bedfordshire in my constituency. HSCB have grown and flourished for many years and I know are not only a lifeline for many families but also an excellent model of volunteer training and development. Direct support to children, including playing, listening, having fun, establishing feeding routines, encouraging development and providing opportunities for outings and treats. Practical help, such as budgeting, nutrition and meal planning, cooking and making the home safe. Support and encouragement to attend other services such as Children’s Centres. Information and links to other organisations, including health and educational services. Advocacy and support, for example in dealing with solicitors and court cases. See our charity’s latest news for updates on our work in the community. 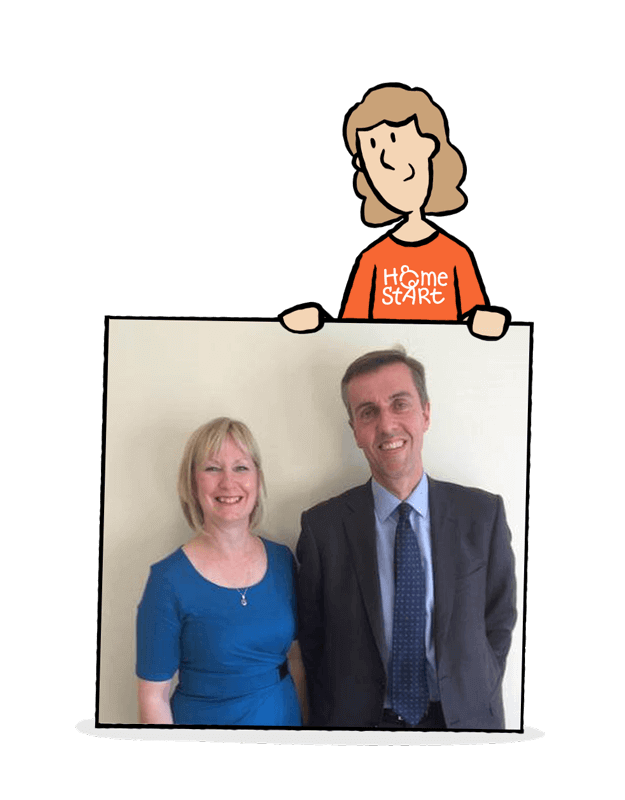 Linda Johnson, Home-Start Central Bedfordshire CEO meets MP Andrew Selous. Home-Start offers not only excellent value for money but generates long-term savings as well as improving lives for local families and children. Home-Start’s charitable work in the county is excellent value for money. The cost to support a family = £16 per week. Since our charity first formed in 1984, we have supported over 3448 families with over 6829 children through 1760 volunteers. Last year we supported 391 families, which included 801 children through our team of 117 parent volunteers. At the end of support, 95% of families reported that the outcomes identified had been achieved. We are able to reach families who are socially excluded and who will not engage with other services such as Children’s Centres. We have over 30 years experience in recruiting, training, supervising and managing volunteers. Our volunteers are trained and managed to a high standard of professionalism. Our services are rigorously quality assured through a Charity Commission endorsed system. Volunteering with us helps get people into work. One third of our volunteers returned to employment last year. “Preventative services can do more to reduce abuse and neglect than reactive services.” – Prof Eileen Munro, The Munro Report into Child Protection 2011. Early intervention forms the foundation of our charitable work and measurable success. Early Intervention addresses the root causes of social disadvantage, enabling children to flourish and preventing harmful and costly long-term outcomes. Effective and timely early intervention prevents problems escalating and breaks intergenerational patterns of disadvantage and dysfunction. It also frees up agencies under pressure, such as Social Care, and prevents children from being taken into care with the subsequent poor outcomes for the child and the cost to local councils. Late intervention has been proven to be not only expensive but also not an effective use of money as lives are rarely turned around. Post Natal Depression Support Groups at five Children’s Centres across Central Bedfordshire. 1 in 10 women experience post natal depression and/or anxiety. The groups, run by a trained facilitator helped women to learn and put in practice coping strategies for mental ill health, to reduce isolation and increase social support networks. The groups ran for five years and supported over 200 women. 44 women have attended the Bedfordshire Pattern Changing courses so far. 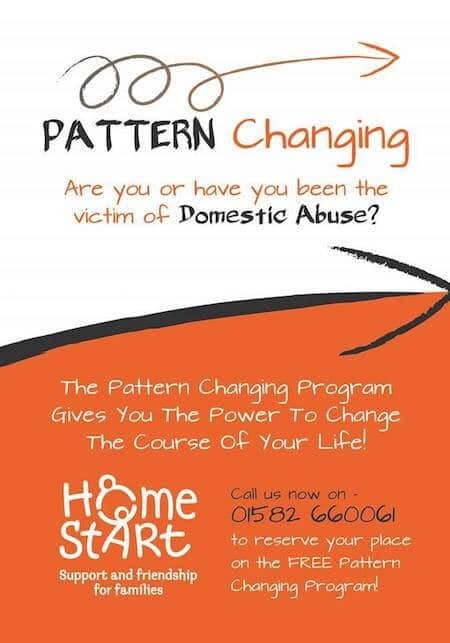 Pattern Changing is a ten-week course for women who have experienced domestic abuse. The course helps women regain confidence and self-esteem, explore personal experiences and learn practical strategies to gain empowerment and to change negative patterns of behaviour into positive ones. The course is free and a free crèche is provided. Big Hopes, Big Future is an evidence-based school readiness programme that actively engages parents in their children’s early learning, supporting them to create a positive home learning environment for children and helping children fulfil their potential at nursery or school – and in later life. BHBF uses parent volunteers to provide one to one support to families in the home supporting children in the years prior to nursery and primary school and targeting the most disadvantaged families including those who currently do not readily engage with their children’s early learning. 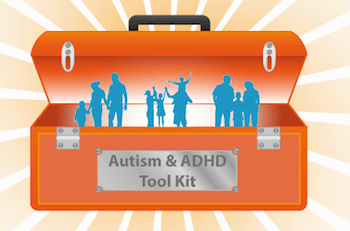 184 families were supported by the Bedfordshire Autism & ADHD Toolkit. The partnership project with the charity Outside-iN was developed in order to meet the needs of families with children with autistic spectrum disorder (ASD) and/or ADHD. Since every child and family is unique there is not one single approach that suits everyone. We therefore put together a range of services which we called Tools that families could move between and could access more than one service at a time. The tools included home visiting volunteer support, a helpline, support groups, one to one coaching and parenting and condition awareness courses. During the two years that the project ran 184 families were helped and parents reported that they valued the Toolkit approach. This was a series of workshops to assist people with the skills needed to get into work. Topics covered included CV writing and interview skills, information about benefits. Attendees were also informed about volunteering as a way of acquiring confidence and experience in order to move into employment or further education. 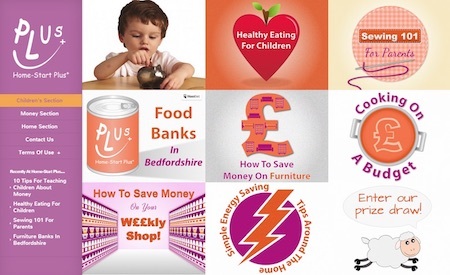 Home-Start Plus had an accompanying website containing money saving advice and ideas. 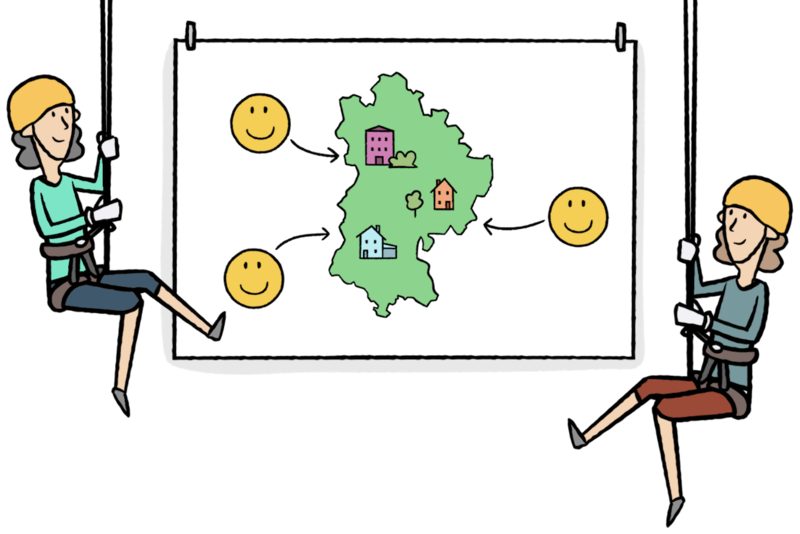 This project aimed to help reduce child poverty in Central Bedfordshire by providing money saving workshops combined with a website. The workshops looked at the effect of marketing and covered such topics as low/no cost toys and activities for children, up-cycling furniture and clothes, budgeting and cooking on a budget. This was delivered for two years in 2007/8 to a variety of groups and parents. The programme concentrates on the role parents can play in reducing the risk of harmful drug use, giving skills and knowledge to assist parents in talking to their children about making good choices. 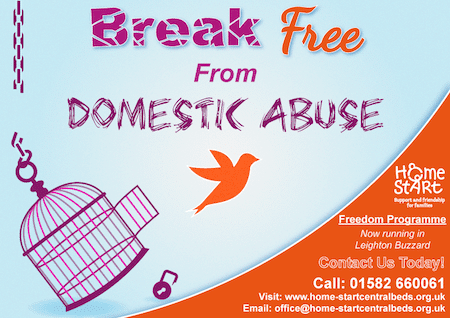 We set up and ran Freedom Programme in Leighton Buzzard for five years as a response to the number of referrals that we received where domestic abuse was an issue. The programme provides information for victims of domestic abuse and examines the roles played by attitudes and beliefs on the actions of abusive men and the responses of victims and survivors. We delivered training and awareness workshops to professionals in Central Bedfordshire in partnership with Leighton Buzzard Children’s Centre This included the development of a DVD of interviews with various members of the traveller community. A team of trained volunteers checked that families were accessing the correct benefits and applied to grants and trust funds for needed articles. 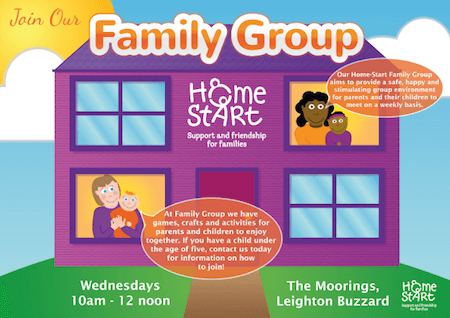 The Leighton Buzzard Family Group was funded by BBC Children in Need. Reduce isolation for parents and children. Reduce parental stress with resulting impact on the well-being of the child. To encourage parental personal development. To increase attachment between parents and children. To signpost and increase access to others agencies such as the Children’s Centres.